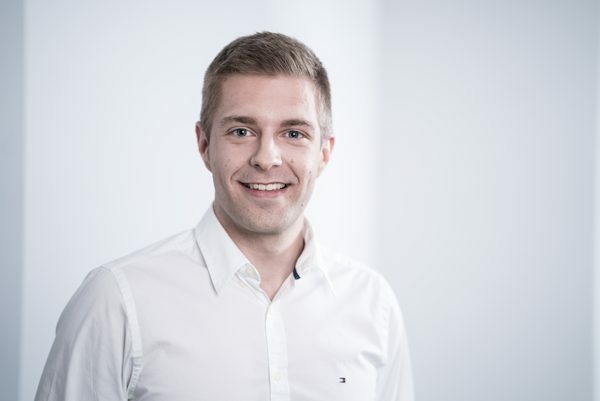 “tegos has played a key role in the analysis of our processes and, with its in-depth knowledge of the industry, has delivered good ideas regarding possible process adaptations”. “We wanted to integrate the different systems and get away from manual processing. The reports had to be easy to create and the program had to meet industry-specific requirements. It was also important that the system was already being used by reference customers”. 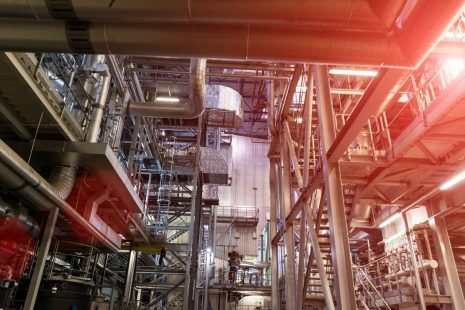 Automate your processes with an efficient ERP system including a cross-industry solution that covers all disposal and recycling-specific business processes from paper trading to container service to hazardous waste. Benefit from professional project management that provides transparency and security throughout the project and ensures successful implementation within budget and on time. 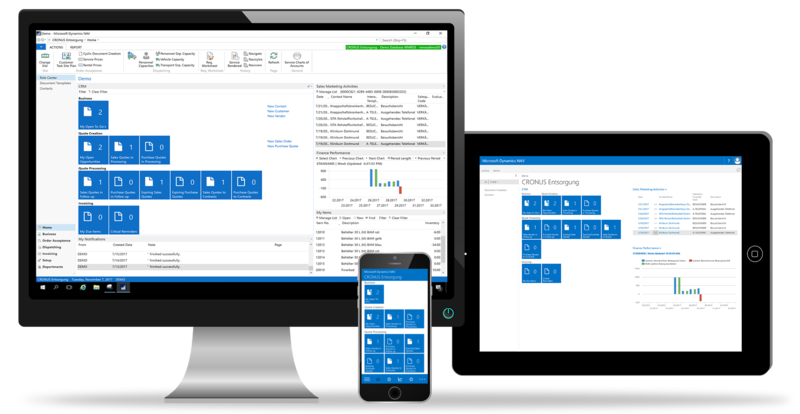 Based on the latest technology from Microsoft Dynamics, enwis offers a familiar user experience thanks to the deep integration of well-known office applications and a touch-optimized user interface and can be used from anywhere via mobile devices. I am aware that my data is stored electronically. My data may not be disclosed to third parties. enwis is not just a software package. 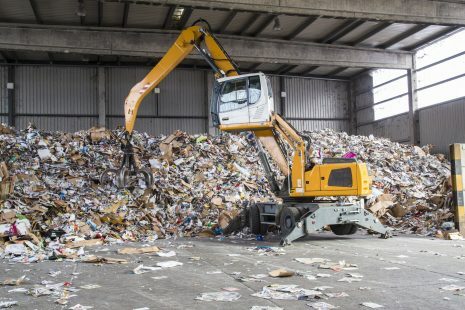 It’s the first choice for the disposal and recycling industry, combining a powerful ERP system with a needs-oriented solution for the sector. Seamlessly integrated, enwis depicts all procedures within a company – no matter whether they’re typical business administration procedures or procedures specific to the disposal industry. No other software covers your industry’s processes as practically as enwis. Just for example, you can prepare purchasing invoices for your deliveries directly, minus non-recyclable content, and post all purchasing and sales services in just a single document for each sales order. That ultimately saves you time, and lets you work much more efficiently than with other software solutions in common use. 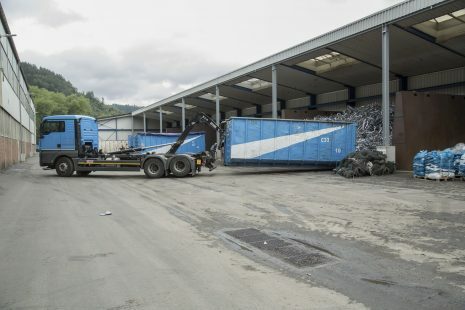 Efficient disposal requires optimal utilisation of all resources including containers, vehicles and drivers. 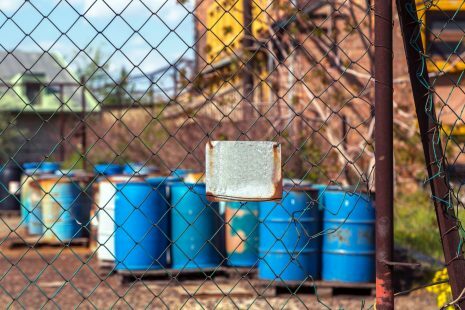 For you, as a disposal company, it is particularly important to know where and how your containers are being used. With the enwis solution from tegos you have complete control of your containers, including availability, location, revenue and materials, as well as the ability to maximise the use of your vehicles and drivers. If the circular economy is to succeed, we need to think and act like virgin material suppliers. Supplying the correct quality and quantity at the right time are both paramount. However, there are additional complexities in the sourcing of secondary commodities – supplier relationships should be maintained, and the volatility of price and availability must be managed. With enwis, you can manage successful trading, ensuring customers’ needs are met, risk is managed and successful sourcing of material is maintained through trustful supplier relationships. Whether it be tank cleaning, clinical waste or lab-smalls, with hazardous waste disposal it is critical to have a system that not only follows regulations but also demonstrates that they are followed. enwis supports the structure of complex services, including materials, vehicles, equipment, tools and skilled personnel. Job costing ensures a profitable business. The depth of functionality allows regulatory compliance at a global and local level, supporting material classification, analysis, packaging and tracking throughout the process. Every day you collect and receive high volumes of different types of waste from commercial customers. In a margin sensitive business efficiency is key from sales through to collection, treatment and material disposal. With enwis we optimise each part of the process to maximise the whole value-chain. 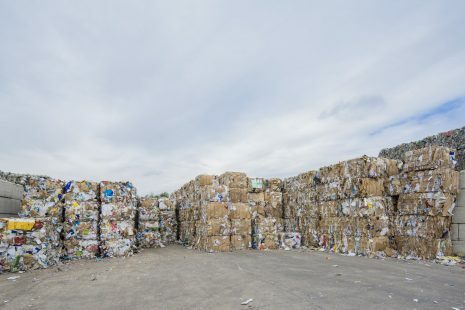 Replacing existing virgin material suppliers is not easy; providing consistent material quality into the circular economy whilst maintaining price parity are both essential. Enwis is a total management solution that will support your journey through one of the biggest opportunities of the current industrial revolution. Energy from waste comes in numerous forms, but the one constant is that the upfront investment is high. Securing and managing feed-stock, maintaining expensive plant to be running optimally, and ensuring business performance is reported in time to react are all key benefits that enwis can provide to ensure your long-term investment is secure. Ensuring top line revenue hits bottom line profit requires a very efficient operation. Often working with low margins, but high transaction volumes, requires world-class efficiency that does not negatively impact customer service. Enwis is the only solution of its type designed to manage the sub-contractor model. enwis gives you a weighbridge fully integrated into your software. Weighing is thus done directly from the software, with no need for the user to leave the application. Since the weighbridge is fully integrated into enwis, the weighbridge ticket gives you direct access to all relevant data (sales order, contract, material, EWC categorization, etc.). Possible service errors, refusals, or other events can also be recorded directly, in a structured form, in the weighbridge ticket. The weighbridge ticket number is copied along directly until the invoice is posted. From weighbridges for small quantities to heavy-duty vehicle weighbridges – enwis can connect all weighbridge types for entry and shipment weighing. Manual weighing, with manual input of a weight, can also be depicted and properly recorded. Besides access to sales orders that have already been dispatched and “only” need to be weighed, new sales orders can also be created directly from the weighbridge. And enwis’s “Open Weighing” list helps you keep an overview of all the vehicles that are still awaiting shipment weighing. 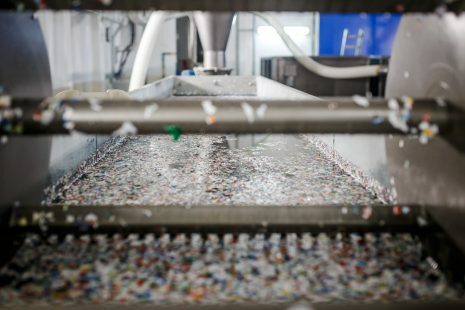 Depicting complex sorting and separation processes is an important tool for recycling businesses. In enwis, any number of input materials can be depicted in detail, together with the resulting fractions (raw materials) in your waste material. Predefined templates support users in enwis in quickly setting up separation orders. Even multi-stage separation processes and complex manufacturing bills of materials and work plans for production procedures can be depicted. For planning separation and production processes, enwis records the projected costs, which can later be compared with the actual costs. Here the costs for personnel, machinery and workplaces can be included directly in planning and in the cost calculation. Capacity planning for personnel and machinery is also directly integrated into the production module in enwis. Unit costs of fractions can be calculated using a variety of criteria. You can also file personnel and machine costs here that are to be taken into account in calculating unit costs. enwis records inbound and outbound stock directly at the time when a sales order is created. This can reflect as many warehouses or bins as desired. Bins are assigned automatically: you specify in advance where each specific material is to be stored and assign your storage spaces to individual suppliers, service providers and/or customers. You can define capacities for each warehouse or bin (including per unit of time). enwis thus helps you plan your sales orders, and you keep an accurate overview of when each warehouse has capacity left, and how much. Materials can be transferred from one warehouse to another anytime. Warehouse administration with enwis of course includes a fully integrated EWC catalog. At the same time, enwis makes it possible to set up any number of EWC references with a given material. Hazardous goods are also fully integrated. enwis enables you to take inventory without complications, and to perform extensive evaluations. Your inventory is always kept up to date by direct recording of any form of materials movement. Configurable charts of accounts allow you to produce a variety of views and evaluations of material movements and quantities in next to no time. You can also apply a variety of filtering, grouping and summation options – such as determining which customer delivered what quantities of what materials during time period x. When an entity has multiple locations, enwis helps maintain an overview of them all. The locations are set up in enwis as “sites.” enwis ensures that master data, documents and evaluations are limited only to desired locations. Users can be assigned to one or more sites, and can access only the data that are assigned to those same sites. That makes it easier to get an overview and reduces sources of error, such as selecting by mistake a sales order that belongs to a different site. The process-oriented depiction of your business processes in enwis sales orders enables enwis to ensure that your business operations are processed smoothly. Even complex logistical processes at the yard or out on routes (delivery, pickup, container drop-off) can be reflected in sales orders and planned easily. Predefinable document templates guide the user through the creation of documents (quotes, contracts, sales orders) with an assistant function. This keeps error rates low even when you’re setting up complex business processes, and ensures a uniform structure for all types of documents for all departments. Whether you’re working with recurring, cyclical sales orders or one-time orders – sales orders are quick and easy to both create and collate. Sales orders are easy to generate from existing quotes or framework agreements, with minimal manual effort. enwis supports all invoice types (invoices, corrected invoices and credit note procedures). Individual or combined invoices, including credit notes, can be emailed to customers directly from enwis. Which saves time and ensures fast billing. The customer task site plan is the nerve center of the operations department. All relevant information and functions can be accessed from this central point. Historical data on business partners, including invoices, sales orders, and container movements, can be viewed here. You can also create new quotes or sales orders directly from the customer task site plan. With market prices constantly changing, fast responses and flexible price adjustments are crucial to success. enwis supports you with flexible pricing so that your prices can be revised anytime to reflect current market developments. Starting with defined rental and lease templates, as well as special agreements for each customer, each region, or each post code area, enwis can file all the criteria that are involved in your pricing decisions. Another advantage: since a base or reference price is maintained centrally, you can specify key figures like EUWID prices, BDSV steel recycling and disposal prices, or market prices as a reference. The prices you agree on with your customers will then be updated entirely automatically as soon as the reference prices change. 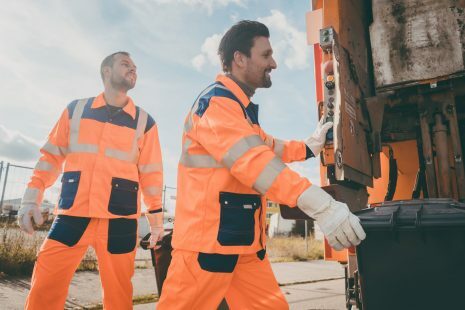 Many waste disposal operators find that integrating a dispatching and telematics solution into their industry software is indispensable. Depending on your needs and the size of your fleet, you can expand the depiction of your dispatching in enwis however you wish. By connecting a minimal configuration of a dispatching solution, you can summarize sales orders into routes on the basis of a wide range of criteria (such as order type code), and then plan and dispatch the appropriate resources. The ease of shifting orders from one route to another offers your dispatcher the necessary flexibility to respond and reschedule quickly. enwis supports you in managing the resources (staff, vehicles, equipment) you need to carry out sales orders. Available capacity (including per shift) and planned absences are covered for each resource. enwis thus ensures effective, resource-conserving route planning and organization. Graphical route visualization and easy planning for recurring routes are also possible. That means recurring routes (such as collector routes) can be conveniently managed by way of route plans and contracts. Route plans can be used – whether cyclically or manually – to generate convenient routes when needed. The customer task site plan offers an easy-to-read display of your available and free resource capacities in terms of various criteria, such as sites, shifts, etc. Integrate an additional telematics module to give you a better overview of your vehicles’ current locations, and how far their pickup schedules have been completed. Vehicle-related data (consumption, travel times, position, etc.) and quantities and receptacles picked up are recorded automatically and fed directly into the order processing function. A variety of receptacles like containers or pallets can be defined as equipment in enwis. enwis helps you manage your receptacle inventory, so that you can track at any time which business partner has which receptacle. A receptacle movement history is also available in enwis and can be viewed anytime. This can be broken down to the level of the receptacle type or even down to individual tracking (receptacle ID number). Because receptacle movements can be tracked in enwis, you also have the option of automatic rental invoicing as needed. For the purpose, you can first define individual rental invoice templates to serve as a basis for invoicing. The generated rental invoice can be either sent out as a single invoice or incorporated into a combined invoice. Every day, a number of financial transactions occur that need to be posted and assigned to the right general ledger accounts. For a disposal company, this imposes a heavy administrative outlay every day. The fully integrated general ledger accounting in enwis means that all posting events are carried out directly in your industry solution. There’s no need for manual maintenance of allocations to accounts and general ledgers in a separate system – in enwis it’s done entirely automatically. Cost accounting offers an effective controlling tool that enables you to analyze current and budgeted costs from business operations, and to break them down, for example by department, product or project. Cost accounting synchronizes cost data with the general ledger accounts in enwis and then distributes and allocates them among various cost centers and cost units. Fully integrated asset accounting in enwis makes it possible to correctly record, track, depreciate and sell assets – with minimum outlay and maximum flexibility. You can analyze and view the current status of assets in real time, taking account of costs, depreciation, and asset transactions. And automated depreciation calculations enable you to optimize bookkeeping procedures. Maintaining an operational journal is one of the duties of any certified disposal specialist. enwis supports you in recording the various events that occur. Some of this is even done automatically, so that you can concentrate entirely on taking care of processes. In addition to the legal requirements covered by the operational journal in enwis, you can also include operational events that you want to record additionally, such as machine downtime or other unusual events. The printout of the operational journal can be filtered so that enwis prints out only the information required by law. Internal operational events are left out. The Simova add-on DPS is an economical channel for making selected information available to customers, business partners and employees online via a portal. That means everyone always keeps current at the same level of knowledge – and their work together benefits from speed and efficiency. Users can access important information even outside office hours, and can initiate certain actions like sales orders.